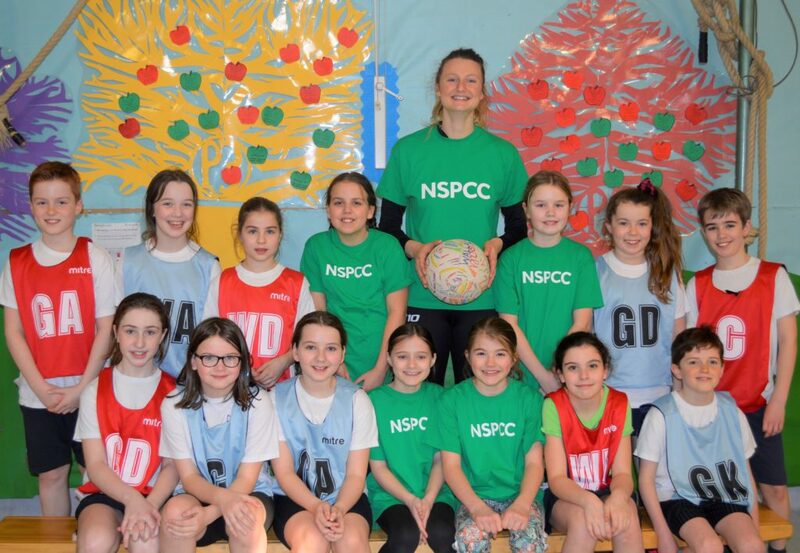 Strathclyde Sirens netball star Ella Gibbons joined NSPCC Scotland to visit a Bearsden primary school with the charity’s unique Speak Out Stay Safe programme to help keep children safe from abuse. With the assistance of Strathclyde Sirens Star Ella, the service was delivered at Mosshead Primary School (today) in East Dunbartonshire. The leading children’s charity began delivering Speak Out Stay Safe assemblies in Scotland in 2012 and since then its staff and team of dedicated volunteers have spoken to tens of thousands of school children the length and breadth of the country. In academic year 2017-18, NSPCC Scotland’s Speak Out Stay Safe assemblies were delivered in 15 schools in East Dunbartonshire, reaching 3512 pupils. The programme aims to help children, in an age-appropriate way, to understand abuse in all its forms and recognise the signs that it is happening, learn how to protect themselves from abuse and recognise how to get help – including from the NSPCC’s Childline service. NSPCC research shows that on average at least two children in every primary school classroom will have suffered some form of abuse or neglect. As well as specially-trained volunteers and staff, the charity’s mascot Buddy is also on hand during the assemblies to highlight to children the importance of speaking to a trusted adult or Childline about issues including abuse, neglect or bullying. Interactive discussions and videos used during the assemblies gave the children help and tips on how to discuss and explore what constitutes harmful behaviour. NSPCC Scotland has been working in partnership with Strathclyde Sirens, the nation’s biggest semi-professional women’s sports team, since 2017 with the shared aim of promoting child safety and the Sirens’ players have joined the NSPCC on a number of school visits like today’s. After the assembly the pupils enjoyed a coaching session with Ella. The Strathclyde Sirens star said: “The NSPCC’s Speak Out Stay Safe campaign is a really amazing cause and the impact that it has on children and young people in terms of giving them the knowledge to recognise abuse is so important. “The message is very powerful and I am delighted the Strathclyde Sirens are on board to promote this vital message. “We are using our platform to empower children in Scotland by working alongside the NSPCC at their Speak Out Stay Safe assemblies. 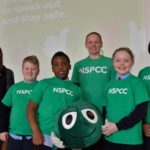 NSPCC Scotland Schools Area Co-ordinator Richard Caswell added: “The NSPCC’s Speak Out Stay Safe programme visits over 900 primary schools every year across Scotland. “It is delivered to almost 150,000 children in Scotland each year to help them develop an understanding of abuse in all its forms and of how to get help by empowering them to speak out. 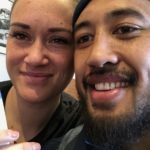 “If we can get children into the habit of speaking out about their feelings then they are more likely to speak out against abuse. We teach them that Childline is always there if they can’t talk to an adult. “It was fantastic to have Ella Gibbons at the school for our assembly and the Strathclyde Sirens are the perfect ambassadors for empowerment. Susan Yeoman, head teacher at Mosshead Primary School, said: “We were delighted to welcome NSPCC Scotland to the school to help with our work in keeping children safe. “The assemblies and workshops helped children to understand the Speak Out Stay Safe message in an age-appropriate way. “We were also delighted to welcome along Ella Gibbons from the Strathclyde Sirens netball team who are supporting the NSPCC in their work. Remember, you can donate as little as £1 to this amazing charity via Strathclyde Sirens ticketing portal. 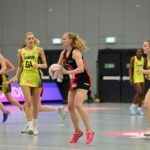 Our next match is against Celtic Dragons on Friday 8th February, buy your tickets here!